Record-breaking Hampshire solo sailor Dee Caffari was made an MBE in the Queen’s Birthday Honours. She became the first woman to sail solo non-stop around the world against prevailing winds and currents in 2006. The former PE teacher said: ‚I am delighted and stunned to have been granted this honour and am greatly looking forward to visiting the Palace later this year. ‚We have a great sailing heritage in the UK and I’m very proud to have been able to play my part in carrying this forward. 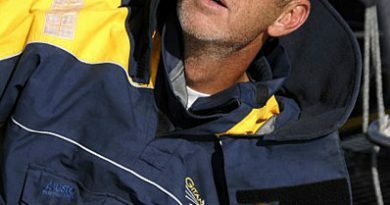 Die ehemalige Lehrerin Dee Caffari(34)will im Club der IMOCA-Profis mitsegeln. In eindrucksvoller Art hat sie den anspruchsvollen Kurs um die Welt von Ost nach West gemeistert – trotz extremer Wetterverhältnisse im Südozean. 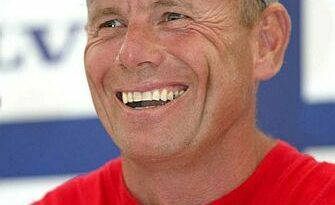 Jetzt ist sie in die Rennserie der Profis eingestiegen um sich für das Vendee Globe 2008/09 zu qualifizieren. 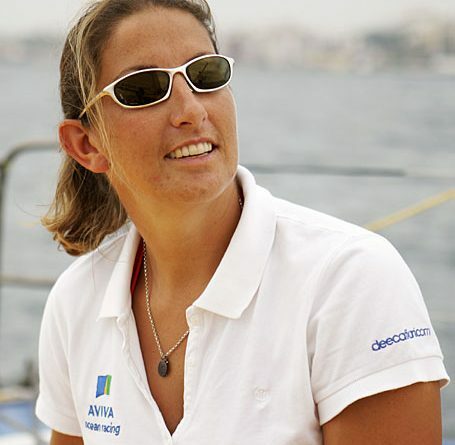 On Sunday 3 June 2007, Dee Caffari, the British woman who in May last year set the sailing world alight by achieving a ‘world first’ for solo circumnavigating the ‘wrong way’ around the world will embark on the first step in her next quest. 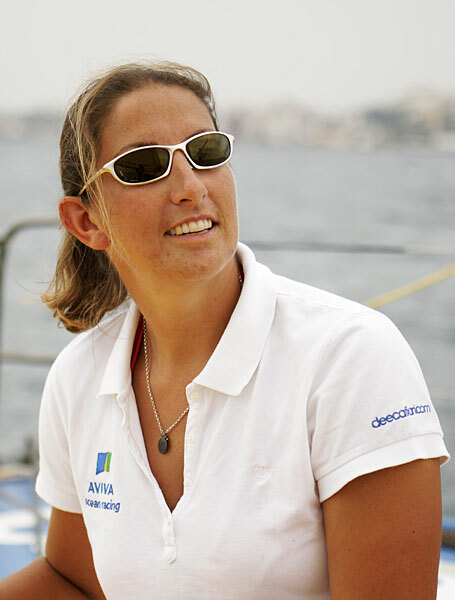 In taking her position on the start line of the Calais Round Britain race, Caffari will officially be joining the ranks of an elite class of ocean racing professionals participating on the IMOCA Open 60 circuit and is out to prove she is fast as well as tough. Her entry into this race represents Caffari’s first big test. Her strategy is to use this and a series of other races to hone her skills in Open 60 racing, building up to taking part next year in sailing’s elite solo race, the Vendée Globe. 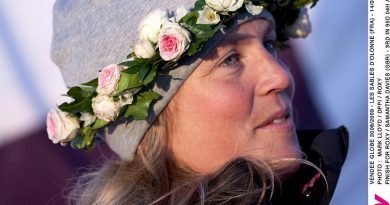 Setting her world ‘first’ last year Caffari showed skill, determination, endurance and resourcefulness battling up-wind against the elements for over 178 days. These qualities will hold her in good stead but she will also need to master the highly technical skills needed to succeed in the complex Open 60 class. From now on she will be pitted head-to-head against world-class skippers who have years of ocean racing behind them. Caffari will be experiencing the intensity of this demanding class for the first time racing around the coastline of Britain and Ireland. Starting and finishing in Calais, the race is 1850 nautical miles around the British coastline featuring some of the world’s most technical waters with ever-changing weather conditions, tidal flows and adverse land effects. Extra vigilance is needed to keep a watchful eye out for shipping and other obstructions such as oil rigs in the North Sea, throughout this race. There are 11 confirmed entries and the front runners are expected to take between six to seven days to complete the course. In a change from normal Open 60 racing the boats will be crewed by five people rather than solo or double-handed. All have been carefully selected not just for their abilities but also to give Dee the opportunity to share their skills and fast-track her learning. To follow Dee in her next quest, track her position in this race and read her diaries visit www.avivaoceanracing.com.